Loved staying here! The location was perfect and the house itself is beautiful! There was a lot around the property: restaurants, a gift shop and a car rental place. About a 30 minute drive to Oia. Would definitely recommend to someone else and would stay here again! Wish we were there longer. The customer service was excellent. Everyday the host and staff provide refill of breakfast items. Absolutely Amazing experience. Hidden Gems. Great Location. Far from Tourist spot. Quiet but very cultural. Perfect host and arrangement. Calliope's House was a gem! We're so grateful we stayed there. Our host Ana Maria greeted us warmly right from our taxi, walked us to the apt and gave us a map with all the places - beaches and restaurants we should visit. She spent a good 30 mins with us and we were so grateful for the thorough overview! The hot tub is AMAZING! It actually gets REALLY hot. We've had some bad experiences with hot tubs that only get look warm, but this one was really terrific. We were there in late May so the air outside was still a bit chilly in the evenings, so having the hot tub was such a blessing. 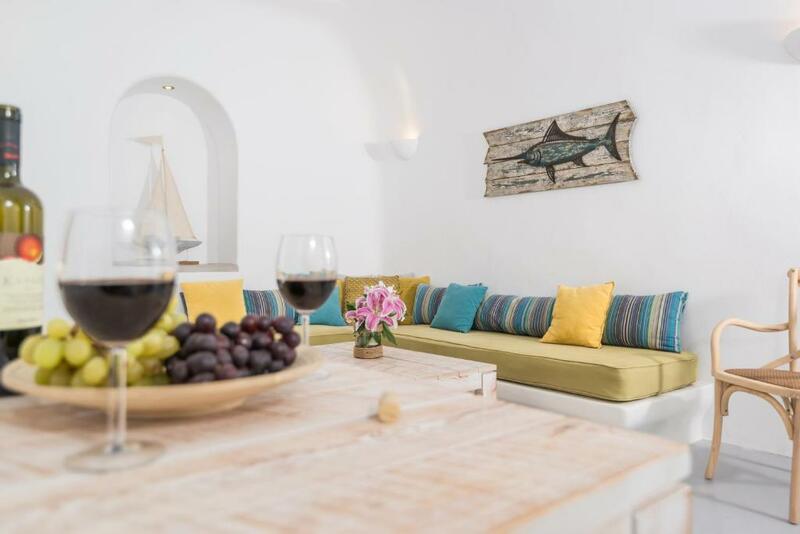 The villa is spacious, cool, comfortable, and in a lovely location surrounded by amazing views, blue domed monuments, white washed pathways and everything you need. We loved Pygros and our stay at Calliope's House was absolutely magical. We can't wait to return! And would recommend it to anyone planning a trip to Santorini. Thank you for everything Ana Maria! The personal service, from meeting us when we arrived to recommending things to do on the island, was the icing on the cake. Just a fantastic location, property and experience! Book it! Super great hospitality from apartment owner Anna! Very helpful and great services provided. We enjoyed the time staying in apartment very much! Beautiful apartment. Daily cleaning and breakfast were really appreciated. Lovely village. Very helpful staff. the house was very comfortable , also the good and quiet position. Very cleaned, every day new towels and all the necessary for breakfast. 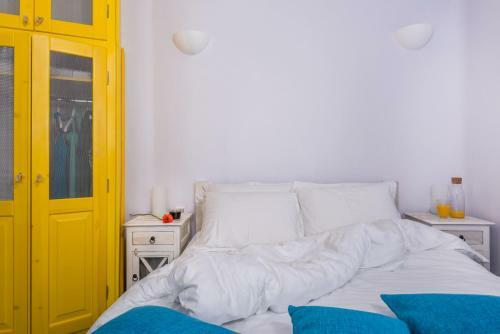 Calliope House is in an excellent location, right in the center of Pyrgos. The stay was wonderful and the house is even better than the photos. Anna Maria, the hostess was very friendly and helpful. Lock in a great price for Calliope House – rated 9.6 by recent guests! 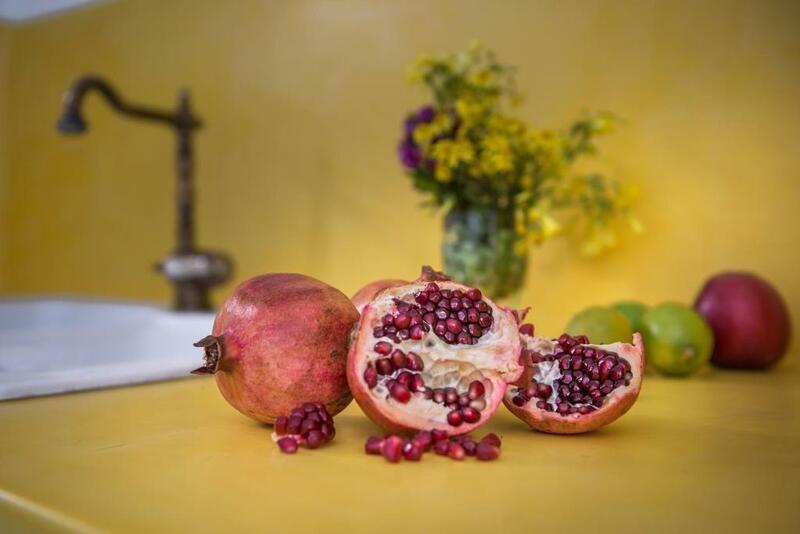 One of our best sellers in Pyrgos! 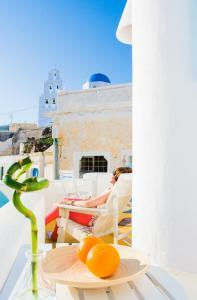 Offering a sun terrace and views of the garden, Calliope House is located in Pyrgos in the Santoríni Region. 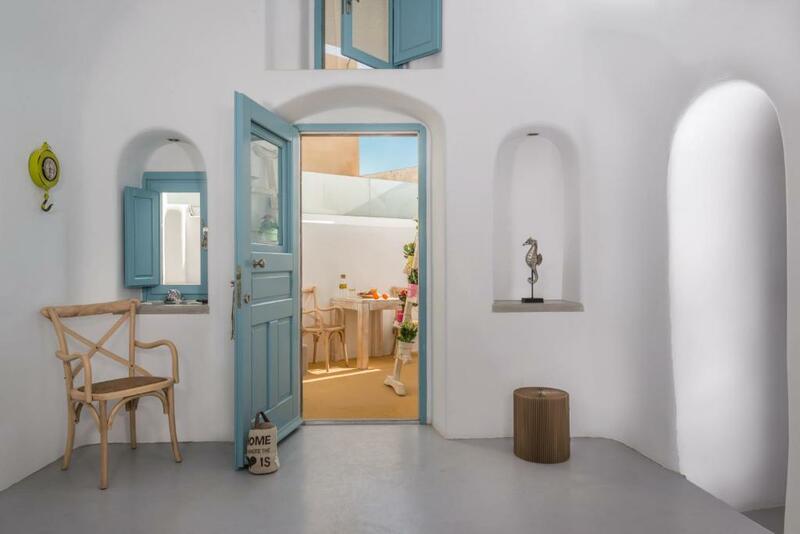 Art Space Santorini is 0.6 mi from the property. Free WiFi is featured . All units have a flat-screen TV with satellite channels. There is a seating and/or dining area in some units. There is also a kitchen, fitted with an oven. A fridge and stovetop are also provided, as well as a coffee machine and a kettle. There is a private bathroom with a shower in each unit. Towels are available. 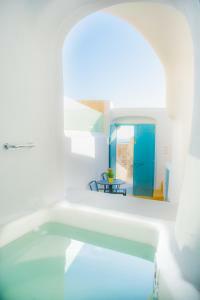 The nearest airport is Santorini (Thira) Airport, 1.9 mi from Calliope House. When would you like to stay at Calliope House? This apartment has a view, patio and hot tub. 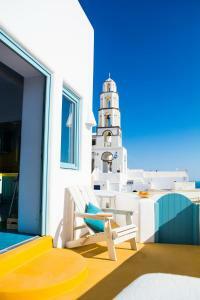 Pyrgos is a traditional village built on a hill with an amazing view. It is very picturesque, with little narrow streets, Venetian castle and countless churches, charming and capturing the hearts of visiting tourists and its permanent residents alike. It is one of the highest villages on the island and, at the same time one of the coolest on hot summer days. The constant breeze creates a pleasant difference in temperature when compared with other villages on the island, sometimes as much a two degrees. Pyrgos is situated almost in the centre of the island, at a similar distance from the cosmopolitan capital, the port, the airport and the beautiful beaches of Perivolos, the Red Beach and Kamari. At a short walking distance, one can enjoy the wonderful view of the Calderas, while enjoying a coffee or tasting a variety of wines offered by the wine producers of the Cooperative. The village restaurants meet the gastronomic preferences of all visitors.There is a medical service available in the village and a pharmacy. Our village Pyrgos, is considered one of the most picturesque village on Santorini and is famous for its cool breeze, original character, its quality and beauty. House Rules Calliope House takes special requests – add in the next step! Calliope House accepts these cards and reserves the right to temporarily hold an amount prior to arrival. Please inform Calliope House of your expected arrival time in advance. You can use the Special Requests box when booking, or contact the property directly using the contact details in your confirmation. My only complaint is that the WiFi did not work in the master bedroom. Everything else was perfect for our stay! The property was excellent but the village could do with a proper supermarket nearby. Gorgeous boutique house in a great location with privacy. Every room is totally unique with a lovely atmosphere and Anna Maria was a fansastic host. We would love to go back! 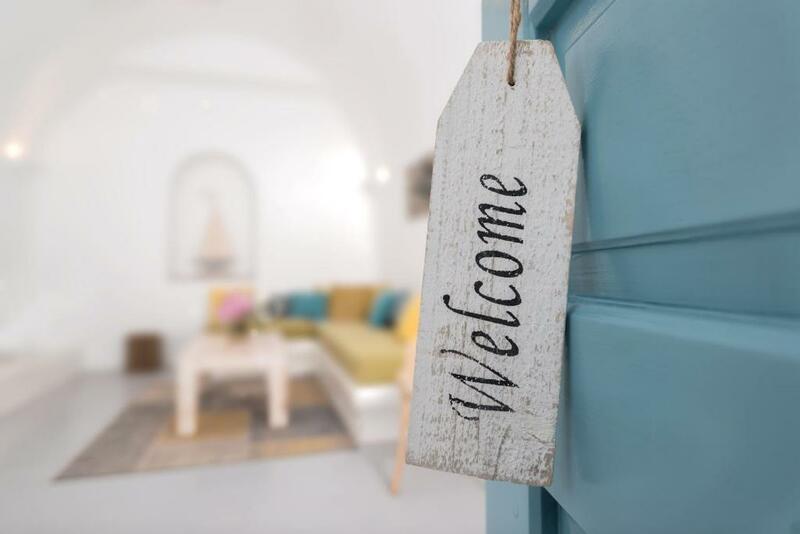 Annamaria (the host) was lovely and took care of our stay in every little detail: a warm welcome at the beginning, constant availability via whastapp for any question and need we have and even a small memory of the island when it was time to say goodbye! The house was simply perfect: clean, tidy and in a superb position to visit and enjoy the island. 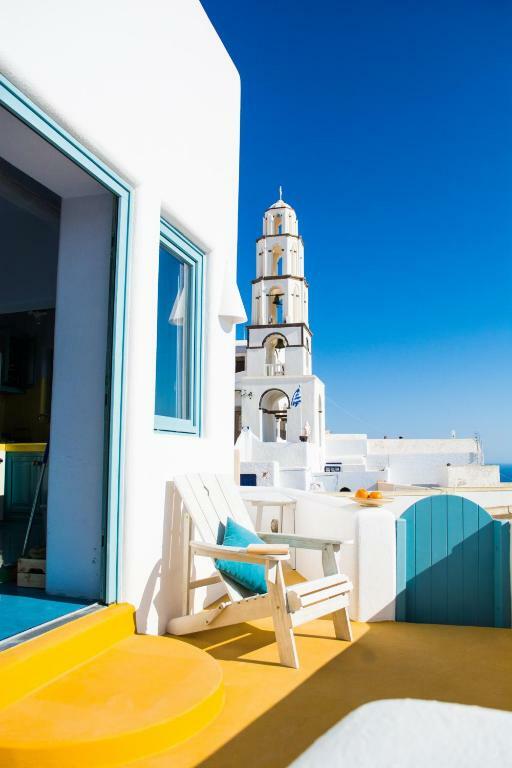 Pyrgos among all is probably the most traditional village of the house, away from the caos of Fira and Oia but still far just 10min by motorbike from the main town and already on the way for the main beaches! Nothing apart from people trying to take pictures of the property! The bed was good but felt a little shaky due to the light-weight structure. The location of Calliope House allows us to enjoy the majestic view of the sunset each day. Within walking distance, there are a few cafes and restaurants nearby. Though one of the good better ones, Cava Alta, a Mediterranean Cuisine Restaurant also within 2 minutes of walking, down from Calliope House. The owner, Maria gave us very detailed recommendations of the area as well as how we should spend and maximise our two days duration in Pyrgos, Santorini. There were complimentary sacks, beverages and food for breakfast. The mini kitchen was compact but sufficient for us to cook our own meals. 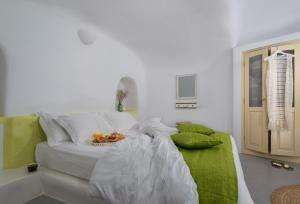 The area around us is usually serene and quiet which provided us with the much needed rest to enjoy our stay in Pyrgos. Overall, we will recommend this place to couple, even families (need to book the two bedroom that is below though) to enjoy a wonderful and breathtaking view in Pyrgos, Santorini. We thanked Maria for her good gesture and hospitality during our stay.